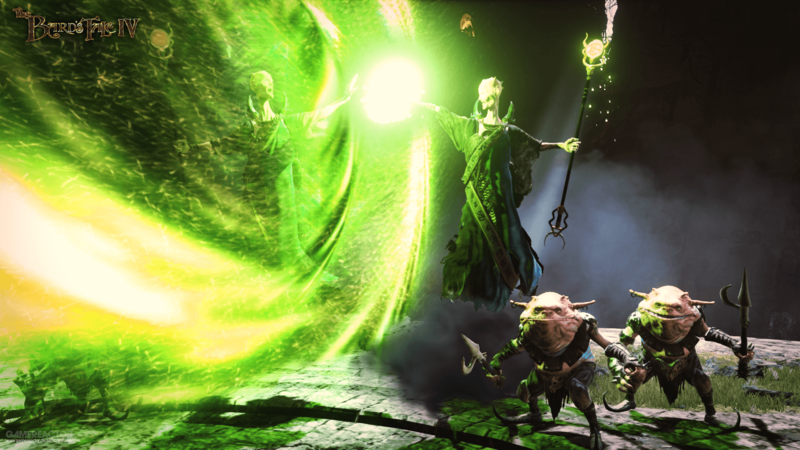 The legendary dungeon-crawler series returns with The Bard’s Tale IV: Barrows Deep. It brings with it the inheritance of the first three games of the series created by the studio founded by BRIAN FARGO Interplay Productions in 1985, with new mechanics and of course new graphics. 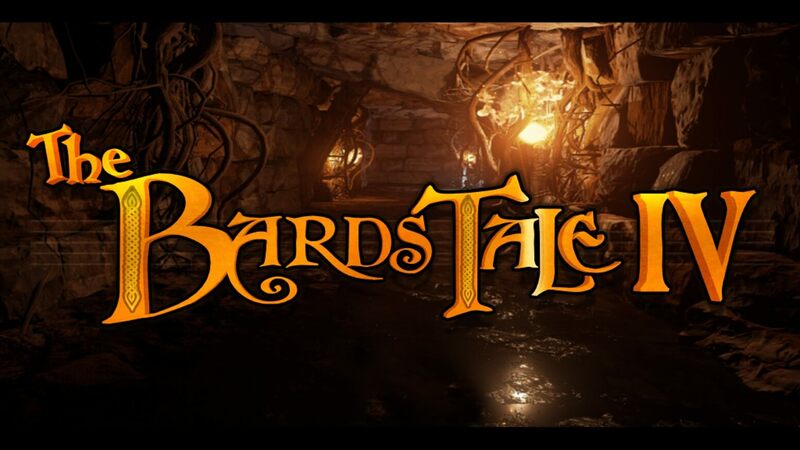 InXile, a video game developer and publisher that includes many former Interplay employees, still founded and led by BRIAN FARGO, developers of important games like WASTELAND 2, TORMENT: TIDES OF NUMENERA is now working on the fourth chapter of the BARD’S TALE saga. The Bard’s Tale IV takes us back to the fantasy world of Skara Brae, many years after the events of the previous titles. 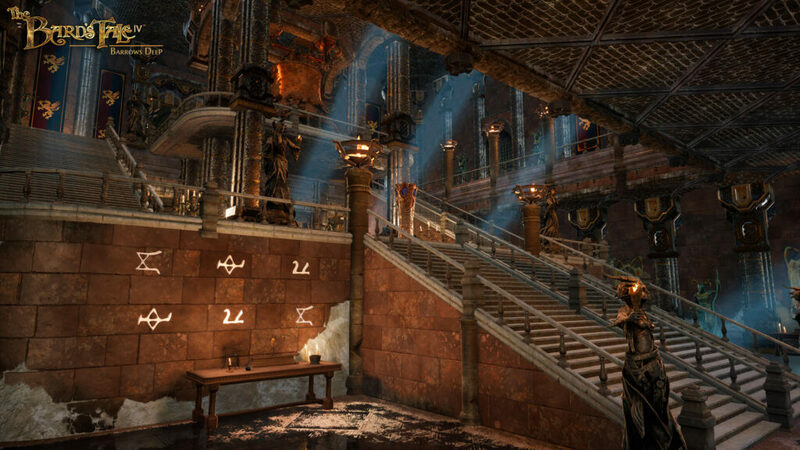 In the basement of the city are all the remains of the old city where monsters, artifacts and ancient treasures lie. We will visit not only the subsoil of the city but also the areas around Skara Brae to discover places of interest, such as catacombs, old fortresses and much more. We will have full freedom to explore the entire world. The only limit may be certain areas controlled by monsters that are still too powerful for us or a place that requires particular skills to go further. 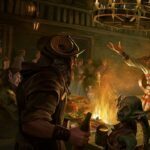 In The Bard’s Tale IV we will begin by creating our character among various races such as Humans, Elves, Gnomes, and others. As in the best RPGs, the race we choose will also influence the way the game world interact with us. In the game, every choice we made will influence the world, NPC and the other characters of the party. We will have several classes available such as Fighters, Archers, Magicians to evolve and acquire new skills useful both in combat and exploration. In the game, there is also the original BARD class, very important within the party. His songs can enhance the attacks of his companions, increase their defenses, encourage the recovery of life and mana points and much more. It will be very important not to keep the Bard in the battle frontline and above all never leave him without brews. 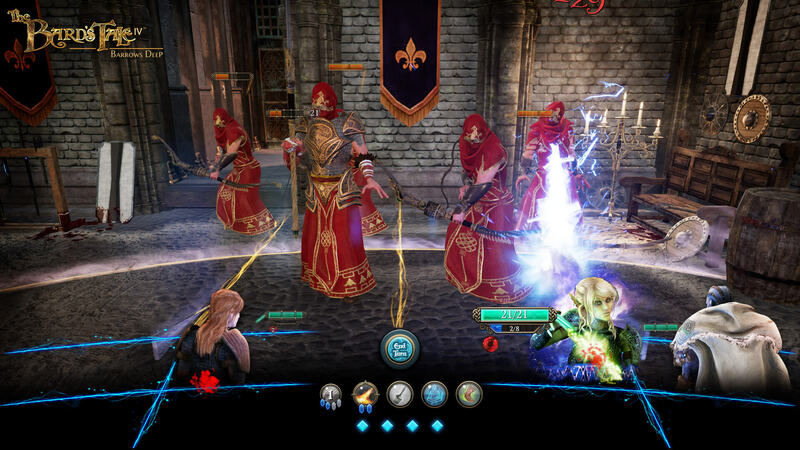 In The Bard’s Tale IV other adventurers will join our party and we will have full control over them. Both in terms of skill development and in combat control so as to form the ideal party to face any fight. 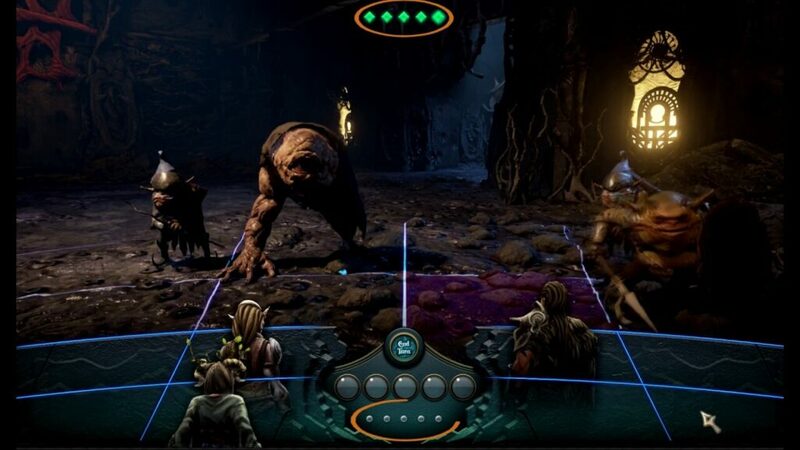 In The Bard’s Tale IV we will explore many dungeons full of traps, secret passages, artifacts, and monsters. Thanks to the skills of our party’s characters we will be able to access a section of the map and we will be able to avoid traps. The dungeons are full of puzzles to solve in order to proceed further. For example, we will have to match the right sequence of signs found in some previous room or find the right combination of devices to open a specific door. During the exploration phase, we can either move in grid-based or disable this option and move freely, in first person as in games like SKYRIM. In the game, there are no random encounters, as the various enemies are visible and move freely within the map. We can, therefore, decide to attack in advance so as to start the combat round first or try to avoid combat altogether. The presence of a grid where our characters can move to use certain abilities or to avoid the blows of the enemy gives a greater depth to the combat phase. The fights are turn-based, where we will first make all the moves of our team and then watch the turn of the enemies. During the fighting, we must not limit ourselves to attack or defend, in fact, the presence of a grid where our characters can move to use certain abilities or to avoid the blows of the enemy gives a greater depth to the combat phase. 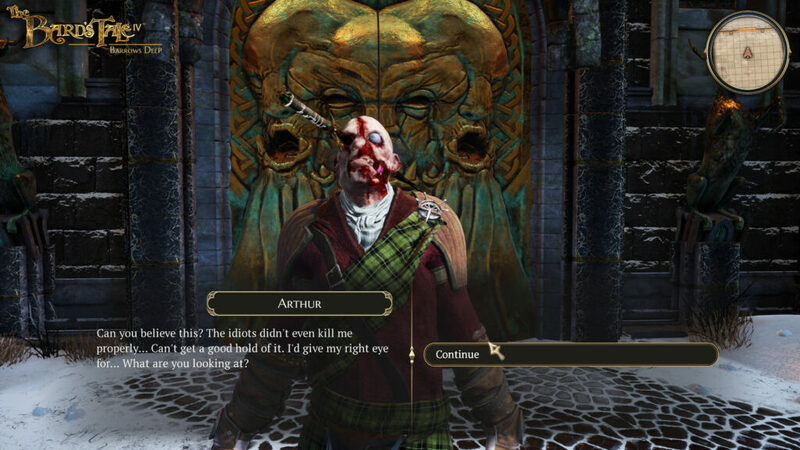 Items are a unique feature of The Bard’s Tale IV. By completing quests, killing particular enemies or finding secret passages, we will obtain powerful objects and weapons. Many of these objects, however, will unlock their potential only after we have solved their puzzle. To let you understand what we talk about, read this detailed Kotaku article about special weapons in The Bard’s Tale IV. This feature is enlarged to all the items, weapons and armor of the game, with many combinations to unlock. By completing quests we will obtain special weapons. To unlock their full potential we have to solve puzzles. The game is totally made with Unreal Engine, with sublime graphics, with attention to details. As for the music, it’s definitely an important aspect of the whole game. Try listening the song in the main menu of the video gameplay below. Absolutely amazing. 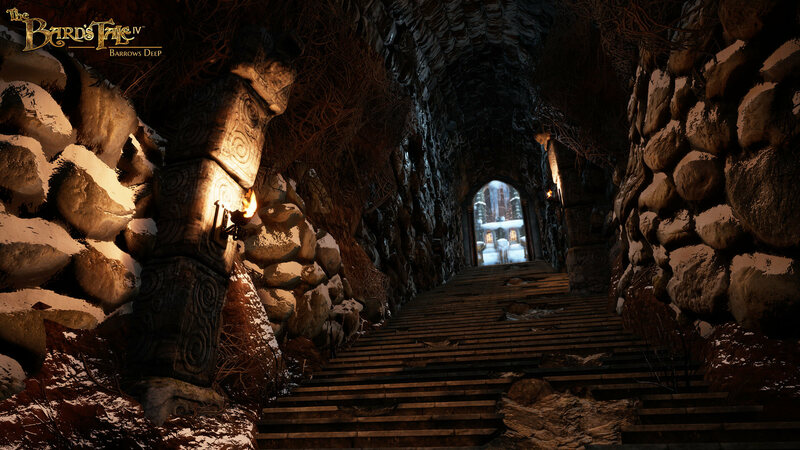 The Bard’s Tale IV: Barrows Deep recently concluded the Kickstarter campaign positively. Many backers had access to a demo where they could test the genuineness of the work done by Inxile. The release of the title is scheduled for 2018 for PC, MAC, and Linux. However, we do not have a specific date. Below you will find a video gameplay taken from the demo, the gallery and the link to the STEAM page of the game. Read all our overviews of the most promising turn-based games. If you want to share with us information and curiosity about this promising turn-based game, please write us in the comments or join our STEAM group.